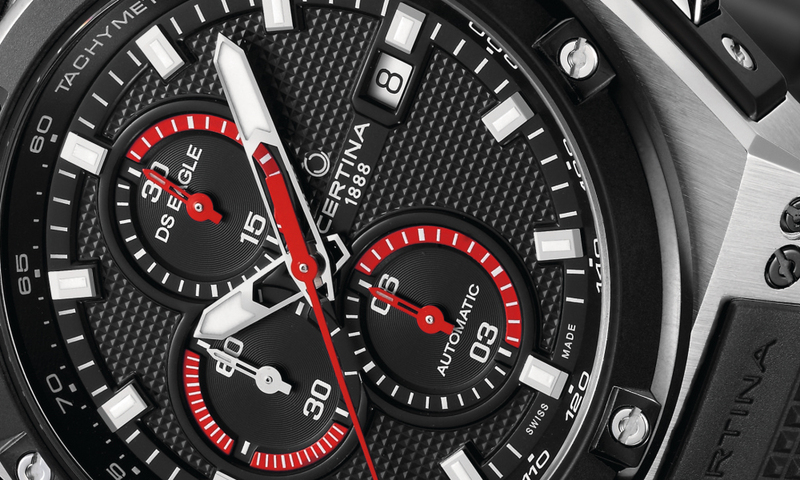 Certina has announced at Baselworld 2015 that it will introduce the DS Eagle Chrono Automatic, a new timepiece that will be available in two distinct designs. The 46 mm case will house a Swiss-made ETA C01.211 automatic chronograph that features hours, minutes, small seconds and date functions. 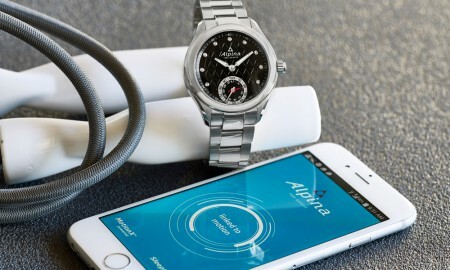 The case itself is available in brushed and polished stainless steel or with PVD rose gold coating. Each watch sports a black textured dial with skeletonised hour and minute hands, which are coated in Super-LumiNova to allow for easy readability in low-light conditions. A date window is to be found at the 3 o’clock position. Supplied with a black contoured and textured rubber strap, the DS Eagle Chrono Automatic is water resistance up to a pressure of 20 bar or 200 meters / 660 feet. 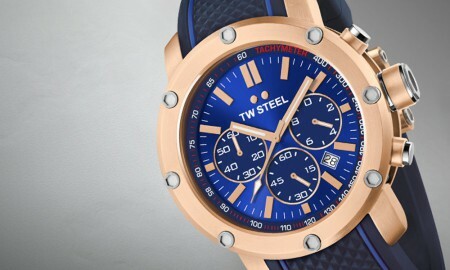 The caseback is see-through with a skeletonised turtle logo. In addition, the DS Eagle will be available in a mixed brushed/polished natural stainless steel and black model, or a fully-black version with green chronograph hands and crown trim.